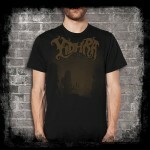 We have the new YIDHRA 10″ vinyl pre orders on Black Friday. This is your chance to get this release at a low price. We will have a bundle that will come with both vinyl colors and shirt. Save money and pick this up Nov 27th Red black splatter vinyl will be available at YIDHRA website.